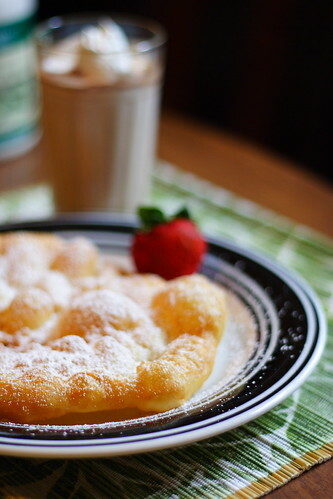 Since I was very little this is one of my favorite comfort foods.I still remember the lazy rainy mornings at my Grandma's house, full of the aroma of freshly fried pizza frittas ( or fried dough as they tell them here). 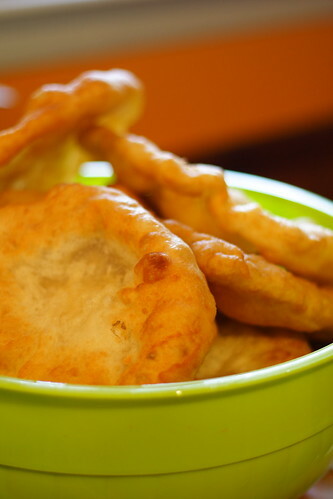 Or the time when I was a student, the wither wind brushing your face with cold and the warm comfort that spreads in your frozen hands when holding the steamy hot Pizza fritta. They are very popular in Bulgaria under the name Mekici. Mek in Bulgarian means soft, but the true Mekica has to be crispy on the outside, soft on the inside, so the name is not entirely true to the nature of Mekicas :-). So, I've kept it as a tradition and my kids and better half are enjoying them quite often. so you can enjoy too! First mix the dry ingredients- the flower, the salt, the yeast and sift together. In a stand mixer mix together the water and olive oil and then add the dry ingredients. 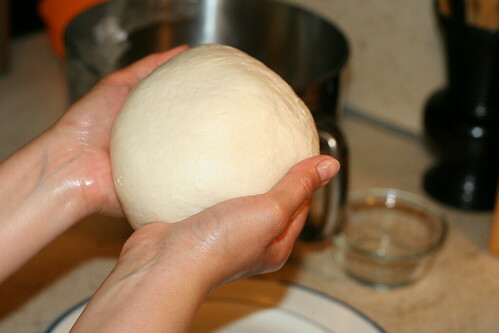 Knead together, until soft dough ( but not sticky!) is formed. 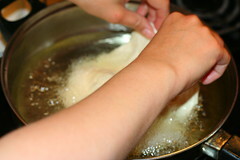 If you think it's to dry or too moist, feel free to add 1 tbsp water or flour at a time, until the desired consistency. 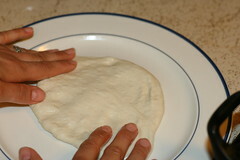 Grease your hands with olive oil and take the dough out. Let it rest in lightly greased pot to rise for about 30 min or more ( if you don't have time to wait, technically you can use it in 10 min, but I recommend waiting). 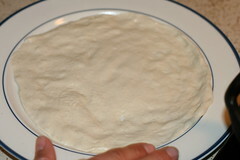 When the dough is ready, take a handful of dough and spread it in lightly greased plate, almost as bit as the plate in diameter. In a large frying pan place 2 cups of olive or vegetable oil ( you are going to be deep frying the pizza frittas) and set the stove on high. 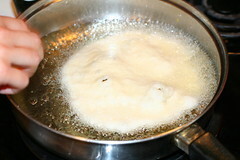 When the oil is hot enough, fry the first pizza fritta and then set the stove on medium-high. Fry until golden in color, place on paper towels to drain. 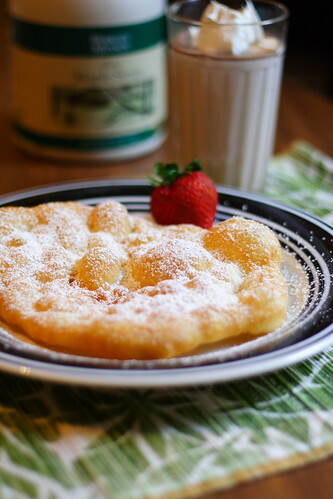 Then sprinkle with some powdered sugar or spread your favorite jam ( honey, maple syrup) and enjoy. 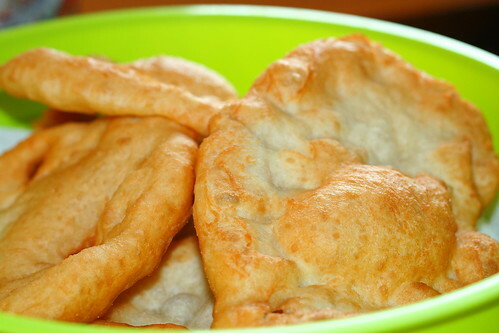 P.S: If you have dough left, do not hesitate to freeze it in a greased bag! It is perfect for pizza or for corn dogs!